Dr Gyan completed his M.B.B.S from institute of Medical sciences, BHU, Varanasi and M.S (Surgery) from IGMC, Shimla. Then he obtained his Laparoscopic surgery training from K.G.M.C Lucknow. 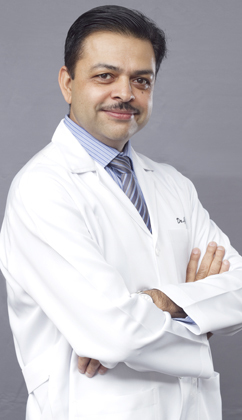 Dr Gyan in his 10 years of post M.S experience has worked in several reputed institutes in India and in the UAE. His special areas of interest lies in laparoscopic procedures like, lap cholescystectomy, lap appendicectomy, lap hernia repair, lap ovarian cystectomy, lap salpingectomy and lap hysterectomy. He also experienced in exploratory laparotomy, breast surgeries, haemorrhoidectomy, etc. Dr Gyan can speak English, Hindi and Nepali.